ECU, through the Health Simulation Centre, is currently contracted to deliver High Fidelity Simulation Training on behalf of the Western Australian Department of Health. 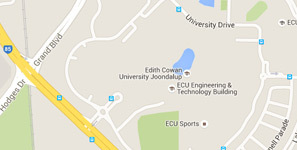 The ECU Health Simulation Centre offers a series of high and medium fidelity courses including the Effective Management of Anaesthetic Crises and Advanced and Complex Medical Emergencies courses, which will be run in conjunction with the Australia and New Zealand College of Anaesthetists (ANZCA) and the Australasian College of Emergency Medicine (ACEM) respectively. This one-day course provides training in advanced life support for the immediate period of crisis. It is aimed at those participating as team members in critical events. The course is specifically tailored to meet the needs of both community-based and hospital-based health professionals. The course curriculum assumes that participants have an understanding of Basic Life Support and have undertaken professional training in a healthcare-related profession such as medicine, nursing or allied health. Training for healthcare personnel in causes and prevention of cardiopulmonary arrest, the ABCDE approach, initial resuscitation and defibrillation (manual and/or AED) and airway management. All participants will have the opportunity to participate in the management of simulated emergency scenarios in a supportive environment. Strict confidentiality is maintained. EMAC focuses on the role of the anaesthetist as the team leader during an anaesthetic crisis. It also focuses on the interaction with the team around the anaesthetist in order to utilise skills and resources effectively.